The streets of Brussels were buzzing on Thursday as thousands of Belgian teens marched for the fourth week in a row, demanding more extreme measures be taken to combat climate change. This week the young protesters were joined by youths demonstrating in Liège and Leuven with a combined total of more than 30,000 participating in the movement. In addition to turning out each week in mass quantities, these young Belgians are taking individual measures to battle climate change. Many eat locally sourced foods, commute via bicycle, or maintain vegetarian diets to reduce harmful emissions. On Thursday, 3,400 Belgian scientists signed a letter urging authorities to make “far-reaching, structural measures to quickly and drastically reduce greenhouse gas emissions.” By immediately taking action and reducing carbon dioxide emissions by approximately 25%, these scientists say global warming can be contained to a rise of 2°C. 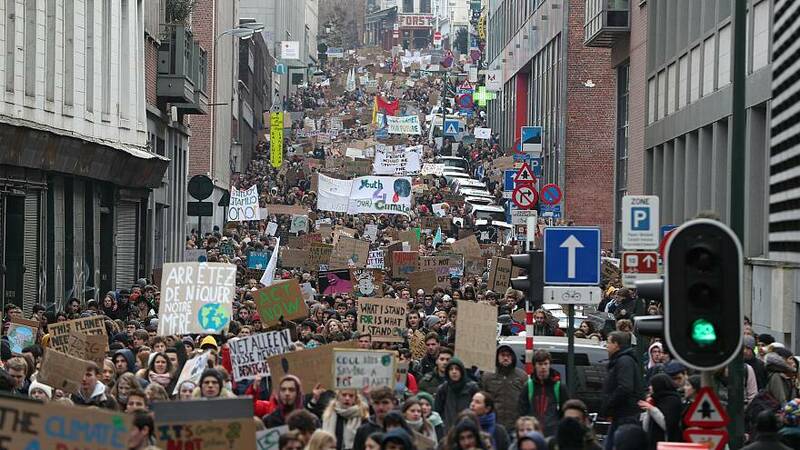 The young people who march in the streets of these Belgian cities will be more directly affected by the detrimental effects of climate change than older generations. By taking action now, they are attempting to salvage their own futures. The sea of protesters carried colourful posters that have been a signature of the recent demonstrations. A large banner carried by two demonstrators read "save our planet, save our future."